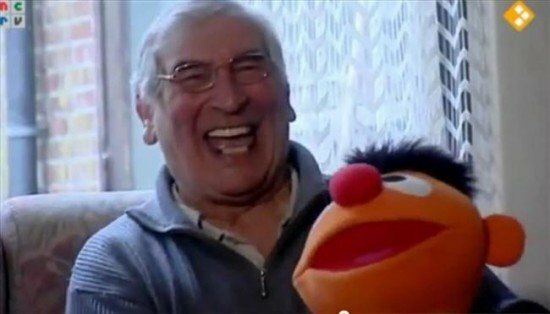 Huug Bosse is a Dutch man who had hip surgery two years ago and he hasn’t stopped laughing since. Huug Bosse’s wife finds it annoying, his brother and daughter have become exasperated, but all he can do in response is slap his knee and laugh uncontrollably. The cause for Huug Bosse’s condition isn’t exactly clear, but it’s probably due to the anesthesia he was placed under, during the operation. In spite of all the mirth, there still is one thing that can move Huug Bosse to tears. He calls it the most beautiful song – the Dutch national anthem. Perhaps they should have it playing in the background whenever they want to get a serious word out of the man. Huug Bosse’s wife says he was a normal man before he had his hip-replacement surgery, in 2010. Apparently the anesthesia he was under during the operation is to blame for his uncontrollable laughter. Although his daughter and brother don’t even visit him anymore because of his constant chuckling, Huug Bosse himself doesn’t think there’s anything wrong with him. He considers it normal for a person to have a change of personality, and says his clients think he’s the sweetest person in the world. Huug Bosse’s wife says he’s always had a sense of humor, but over the last two years he has been laughing all day long.